Sweet Nothings: i wanna FARM HOUSE SINK !! It seems every time I turn around, I am WANTING something. Someone once told me that as I aged, my desire for THINGS would go away...are they kiddin' me ? Don't you believe it for a minute !!! Just take a look at THESE twin beauties...only thing that could be better than a FARM HOUSE SINK is.....TWINS ! Liking the looks of this one, too. .....I may just have to remove the doors beneath MY Farm House Sink, too....if I ever get one. 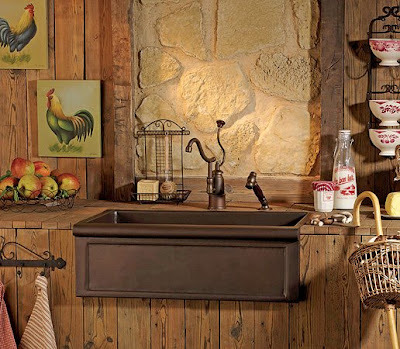 I WANT HER FARMHOUSE SINK and....her rooster !! as good as you are, sweetie, i can probably teach you something!! See how good that white, porcelain apron looks against the darkness of the wood..
face it, people...they go with ANYTHING ! I, too, love farm house sinks. 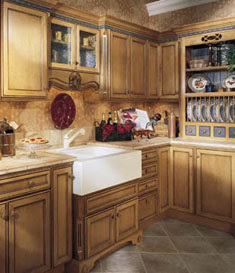 As your pictures show, they seem to go with any style decor and I can just see one in your pretty red kitchen. Perhaps Santa will see this post! Golly Miss Molly, I want one, too! I can't believe I let the builder talk me out of it 4 years ago. What was I thinkin' ?????? I hope you meet your prince chaming sink someday. Yupper we "WANT" girls must all be related... 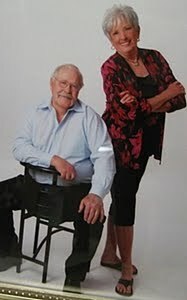 I am always wanting and you know there is no room for anything in good old Tassie... Love the Twins they are awesome... 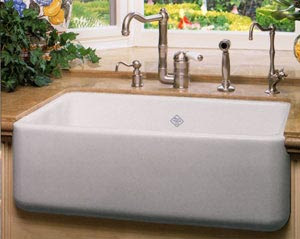 The Farmhouse sink must be every womans dream since it is so BIG... 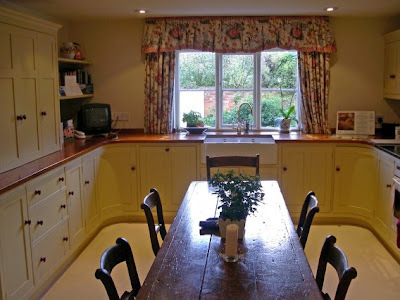 When we do get a house It'll be a HUGE country kitchen surrounded by the other rooms... 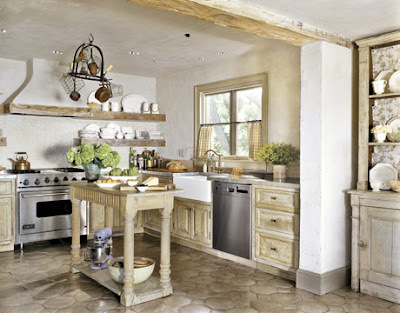 The kitchen is the heart of the home... Since I love cooking and adore every gadget that goes with it I must have a BIG one... with a great room for entertaining... Have a fun day!!! 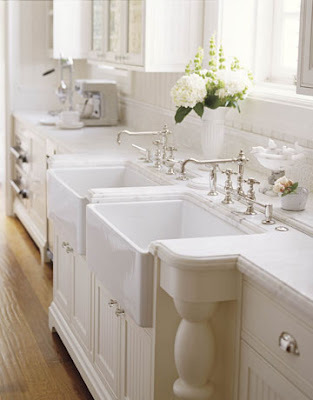 I love these creamy farmhouse sinks too. 20 years ago when we remodeled the kitchen my husband lobbied for a stainless steel sink. I have hated it all these years. 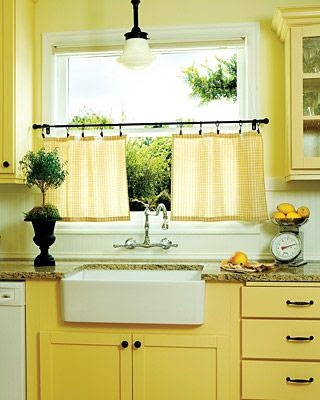 The next remodel, I get a pretty farmhouse sink! My dad is redoing a 100 year old house right now. I begged him to get a farmhouse sink when he was doing the kitchen. They were much more expensive. The nice white normal sink he has now is OK but the farmhouse sink would have been so much better. Morning BJness!! Oh, I love these sinks, too! I want one, too, but Mr. Precious doesn't seem to like them!! I think you need one, and yes'em, I'm sure you could teach me a thing or two about the 'can you love things" syndrone! I knew we were connected by the heart - loveing and wanting and wanting and loving. We need to always have a dream, don't cha think? I hope you get this sink soon, so I can show Mr. Precious and say, "See, real people have this sort of sink!!" Now, you get out there and buy one! Oh girl now I WANT. hehe those pictures are beautiful. Peppers are a great idea to add thanks for telling me. Three cheers for a farmhouse sink. Remember that old farm house I shared with my Aunt's Victorian blue house. That old house had the original farm house sink. It was BIG and so useful when you are cleaning garden veggies. I have a bad case of 'I WANT' too. Such is life in the real world. We do need something to 'want' to keep us going BJ. Dreams do come true sooner than later sometimes. 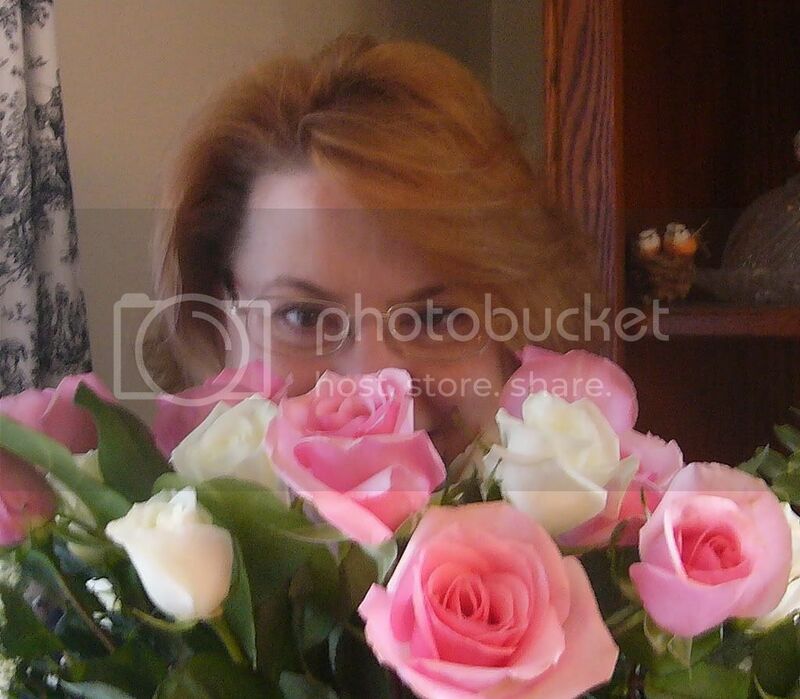 LOL Love your photos. I would live to come to your kitchen- farm sink or not. It's lovely to meet you. Here's my question, though. They seem so low...Has anyone talked about how your back might ache after bending over to wash your dishes in it? LOL I think I know what you're getting for Christmas! How? Oh, a little birdie told me. I love farm house sinks too. 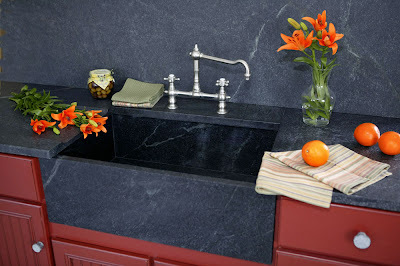 Why can't the menfolk understand why the womenfolk love farmhouse sinks? I noticed from your comments that a few women got talked out of them by their hubby or some other manfolk building or remodeling the kitchen. I want one too! I am sure my house had one originally-I am just sure of it! If they weren't so expensive! I have the vintage farm house sink out of my Dad's house, looks similar to the next to last picture you posted, even have the legs for it but alas I can't talk my husband into putting it in the kitchen so, he just doesn't like it a bit so it just sits being stored. I hope you get your sink. 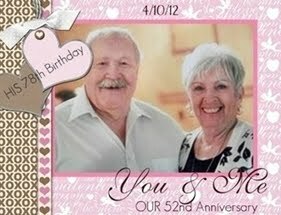 I located your blog via Brenda at counrty romance, it is so cute! 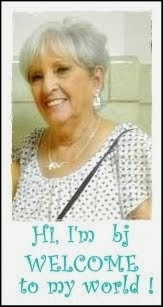 Oh girl I love them too!! You found the most fabulous photos of them!! Someday, someday! Love the memory box at your daughter's! Very nice idea!! 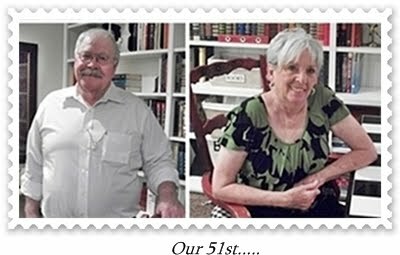 Give lots of hints to the grandkids and be sure to have that "How did you know?" look on your face when you open it up Christmas morning!!! Other wise grin and bear the 50th Christmas tree sweater that will join the other 49!! Seriously if all the kids pitched in it wouldn't break the bank and I'm sure they would love to know what to get you. So...start dropping some hints to those grandkids and good luck. And yes a farm house sink goes with everything. They are beautiful and will last a lifetime. Ooooooooooooooooh - I want the third one! I WANT ONE TOO!!!! PLEASE PLEASE PLEASE! Maybe Santa will bring us one BJ! 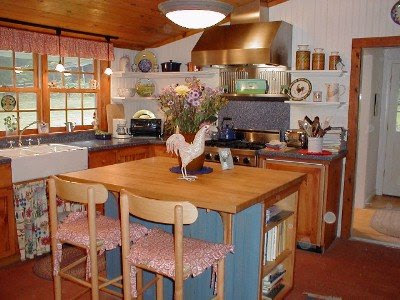 Honestly, I want my next house to have an open kitchen, with and island - that has a rooster on it....and a FARMHOUSE SINK!! All of the pictures were great, but my favorites were the 7th, 8th and 9th pictures! Oh yes, dear BJ those sinks are mighty purty! You have been such a good girl this year, I am telling Santa to get you one! BJ, they are to die for. I love them all, but must say I hate to do dishes...but thats okay,it can just sit there looking pretty. 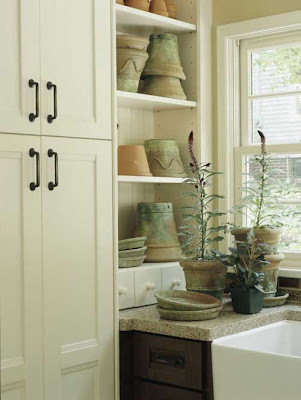 I also love farm house sinks and want one for my kitchen when I redo it. 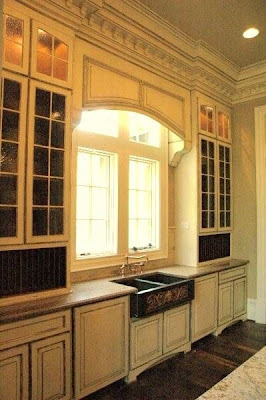 I want wainscotting as well. So, maybe next year as we've just finished renovating the upstairs apartment and we are tired after 5 months of working on it. Your card for S arrived last week. I'm sorry that I haven't had time to let you know. I've been really busy with Aunt May. 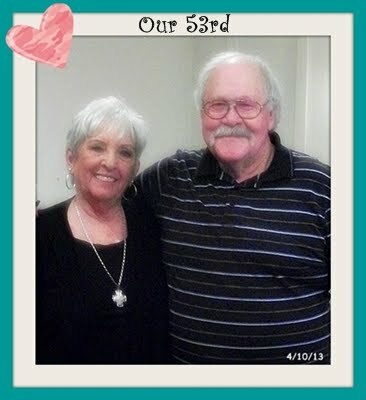 Thanks for your prayers, love and support during this difficult time and thank you too for the card for S.
I hope you get your farm house sink soon. You deserve one after having the same one for 25 years. I haven't seen one of these in years. My Mom and Dad had one in their home before it was sold about 10 years ago and torn down to build apartments for college students. So, I enjoyed seeing the pictures you have shown today. Hi BJ , I like farm house sinks too. I need a new sink so bad. Do you want the single or the double sink ? Goodness gracious, I wanna farm house sink too! Then I'll put all my rooster friends around that pretty thing! I seem to recall you've had this obsession since waaay back in the RMS days. I can understand it though....they are quite beautiful!I hope you are having a wonderful day! I love those stinkin' farm house sinks too!! I love all the photos you have found of them. And the way they look different no matter what kind of kitchen they're in. BJ, you are so funn! I love all those photos! I want that kitchen sink too but I have to wait until we buy our own home....bwahhhhhh!! 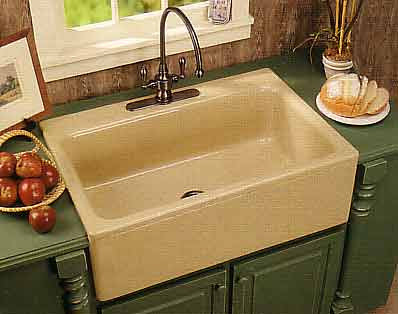 Oh, I want a farmhouse sink too, I'll take a farmhouse kitchen too since I'm dreaming and all! LOL! These pictures are beautiful...thanks for sharing Hope you get your computer fixed soon. 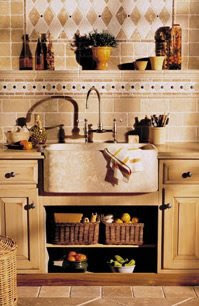 BJ, I didn't even KNOW I wanted a farm house sink until I read your post, and now I REALLY want one too!